Höstfest 2011 festival took place on November 18-19. at Ilokivi, Jyväskylä (Keskussairaalantie 2). The festival is held for the third time and is organized by the multidimensional cultural organization Hear ry. 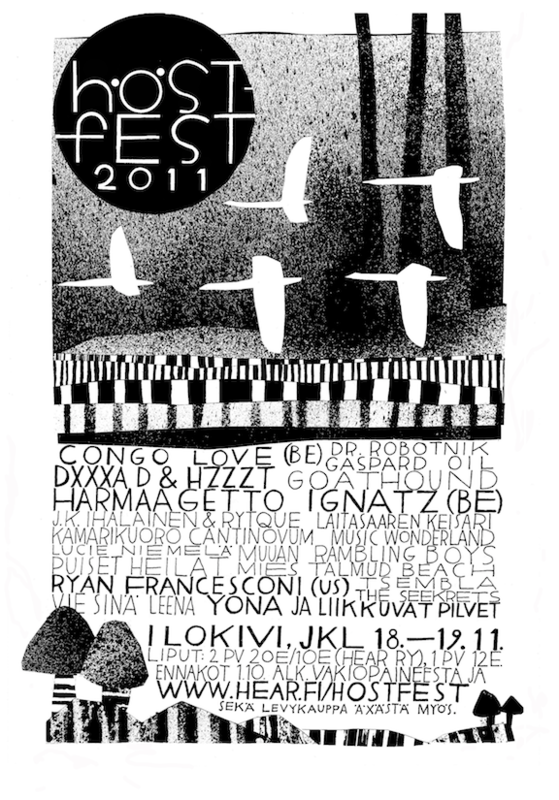 There are over 30 performing acts in various genres both from Finland and from foreign countries. 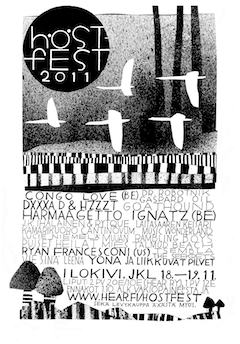 A two-day ticket for the festival costs 20 euros. 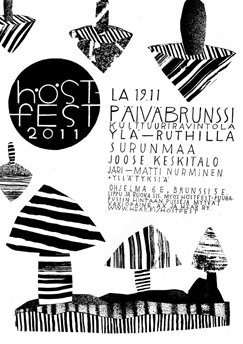 On saturday there is a evening club at Ylä-Ruth (Seminaarinkatu 19) for 6 euros. You can enjoy a special festival brunch there for 5 euros. Warmup clubs for the festival are held on October 13th in Jyväskylä (Ruma, Yliopistonkatu 40) and on November 4th in Tampere (Hertta, Näsilinnankatu 22).